Last time we talked about the importance of exegesis. This time we’re moving on from exegesis to theology (as you do). In the environment in which we live and minister today, it’s very easy to outsource and hence downplay both theology and exegesis. So many other things are being presented to pastors as ‘essential’ that the time consuming work of exegesis and theological reflection can easily appear too demanding and best left to someone else. Yet, my argument is that we outsource exegesis and theology at our peril. Christ works powerfully by His Word, and our ministry is essentially a Word-ministry. Okay, so we can see the importance of exegesis readily enough. But theology? Yes, theology. Now, you might be tempted to think I’m biased here. 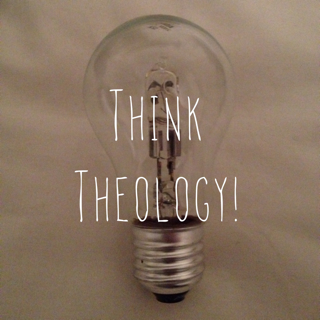 After all, the word theology is in the name of this blog, I used to teach theology at a seminary, and I’m working on a PhD in systematic theology. 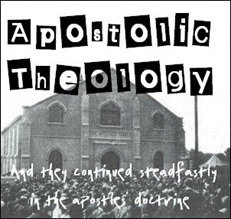 But I assure you, none of those are the reason that I say that thinking theologically is essential to the ministry of apostles, prophets, evangelists, pastors and teachers. 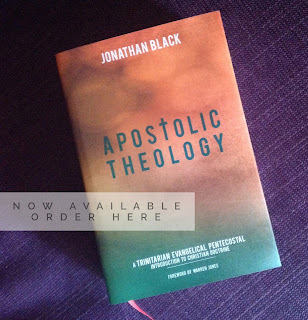 Rather, it’s the other way round; it’s because I’m convinced that thinking theologically is so essential to the work of the ministry that I spent a few years teaching theology to future pastors and seem to be spending forever on doctoral research. So why am I convinced that it’s essential to think theology? Well, what is theology? At its most basic level of definition, theology is thinking about God as He has revealed Himself in Scripture. And that means that good theology must be rooted in careful exegesis. But theology goes beyond exegesis and does some things that exegesis can’t. Exegesis can only tell me what a particular Scripture text says. But what if someone in my congregation raises a question to which I can’t quote a memory verse in response. Then I need to think theology. And in reality, that’s nearly every question. If someone asks me ‘who has sinned and fallen short of the glory of God?’, then I can happily reply by quoting Romans 3:23, but what if they ask what’s sin?, how have we all sinned?, what is the glory of God?, or what does it mean to fall short of it? To think about any of those questions means we need to think theology? Whereas exegesis looks at what individual texts tell us, theology reflects on how God has revealed Himself in the whole of Scripture. And that means we don’t only think in memory verses. In fact, thinking in memory verses (or proof-texts, as theologians like to call them), divorced from the bigger picture of theology might end up confusing rather than clarifying. For example, someone once told me off for having a slow hymn in church by writing a few verses from Psalm 150 on a piece of paper and passing it to me during the service. For that person, the proof-text they sent me was the knock down argument that all songs must be upbeat and happy. Yet, if they had even thought about the whole context of even that one book of the Bible, they would have seen that God’s praises are to be sung in a wide variety of genres and styles, even including laments. Theology helps us to read texts in their full biblical context. In other words, to think theologically is a different mind-set. We don’t approach Christian ministry in with a business mind-set, a pragmatic mind-set, or a success-oriented mind-set. Rather, we are to approach the realities of life with a Christlike mind-set which seeks His glory above all, and which is firmly rooted in His self-revelation in Scripture. · Need to counsel a pregnant teenager to keep her child rather than abort. · Teach on our responsibility to be good stewards of the world God made. · Comfort parents whose adult child has abandoned the faith he was raised in. · Train other church leaders in how the local church should be organized and governed. · Explain to a visitor that Jesus intends us to be members of local churches, and not just the universal church. · Explain what baptism and the Lord’s Supper mean. · Explain to the local chairman of the Republican/Democratic party why he can’t have ten minutes to address your members at the next business meeting. · Need to help your elders think through what it means to love the illegal immigrant neighbours in your town. Pastors need to think theology all the time. It’s not just about the rare doctrinal controversy that occasionally arises, but about the very fabric of our ministry.